Drivers in Des Moines and across the country were shocked in 2014 when a series of issues came to light involving faulty products sold by some of the largest auto manufacturers in the world. It began early in the year, with General Motors issuing a sweeping recall of certain cars that possessed faulty ignition switches that could turn the engine and other features off while driving. 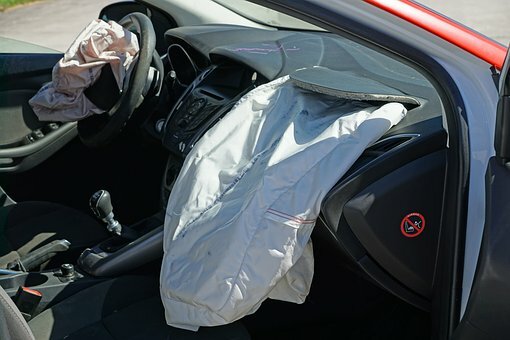 Several auto recalls followed, including a recall of Takata airbags. Reports emerged that the airbags could explode during deployment, shooting shrapnel towards vehicle occupants. Recently, the National Highway Traffic Safety Administration (NHTSA) investigated Honda’s failure to report over 1,700 serious and fatal accident claims. Honda was fined $70 million for the violation of safety regulations. The NHTSA imposed two $35 million fines: one levied for Honda’s failure to report 1,729 death and injury claims to the NHTSA, and the other for failure to report certain warranty and other claims. In addition, some of these claims did, in fact, involve faulty Takata airbags, with at least one resulting in death. Ultimately, Honda failed to report these claims under the early warning reporting (EWR) requirements set forth by NHTSA in 2001. The system requires car manufacturers to submit frequent updates to the agency on death claims, injury claims, warranty claims, and others. For this omission, the automaker must pay the largest fine issued by NHTSA in history. But Honda says the failure to report the accidents was due to computer and data errors and was not intentional. Nevertheless, the NHTSA didn't excuse the car maker’s failure to report. Auto safety is a responsibility of every car manufacturer, and Honda must now pay the hefty fine. Some are even calling for a criminal investigation. Have you suffered injuries because of a defective vehicle? We can help. It is truly unfortunate that Honda failed to report so many claims, and thus continued to allow potentially dangerous vehicles and car parts to remain on the road. Of course, it’s hard to say whether Honda reporting the accidents would have led to any discoveries of defects warranting a recall. But this hasn’t stopped some from speculating that reporting the accidents could have saved lives or prevented serious injuries. But in any case, if you suffered damages in a car accident for which a defective auto is to blame, contact us today at Walker, Billingsley & Bair to discuss your case. Reach out to us today at 888-435-9886 or use our online contact form to set up your consultation.